Is a “good death” possible? We get lots of advice on how to live a good life, but who teaches us to die well? Death is the last taboo, and we learn about it in sterile hospital corridors from doctors who are trained to help us heal, not to help us die. And yet, theirs will be the only voice many of us will hear when we make end-of-life decisions with our parents. After helping my mother through her own passing, and then writing a novel inspired by the experience, here are nine pieces of wisdom I learned along the way. It takes nine months to be ready to come into the world, and it often takes that long to be ready to leave it. There is a pathway to a natural death, and it may start up to a year in advance. You may see signs that Dad is disinterested, resigned, or depressed. He might withdraw and stop participating. Understand this is natural, and is his way of preparing to say goodbye. You might find that Mom wants to talk about the end of her life, and no matter how uncomfortable it is for you, let her. Ask her how she feels about dying. Talk about what kind of passage she imagines. Many people don’t imagine dying in the hospital’s intensive care unit, tied to machines, but over 60% of us will, because no one asks. Sometime in the last few centuries, Americans turned death over to medical institutions. In doing so, we give up our personal and spiritual freedom at a time when we most need it. When I wrote Finding Frances, I realized how strong the pull is to take medical treatment at all costs, right up until the end, regardless of religious or personal beliefs. In the book, William, one of the main characters, struggles to help his mother die in accordance with her own beliefs, even though they are in conflict with his own. But here is what my own experience taught me: if we believe our parents are entitled to their own choices, their dying becomes easier. In our litigious, high-tech society, doctors offer increasingly improbable solutions when the most obvious solutions prove ineffective. When one method doesn’t work, it’s often followed by the words: “But we can try ___.” Help Mom make the best decisions for herself by understanding the probabilities of success, the amount of damage the solution will cause, and the probable quality of life if the new treatment is successful. Let her know it’s her choice whether or not to proceed. Her answer might surprise you. Everyone knows they should have a will, but between 40 and 60% of us do not have advance care directives, which are legal documents that spell out our wishes for the end-of-life experience. You can get a valid one for your state online or from your lawyer. There are organizations like Project Grace (www.projectgrace.org) that offer innovative, easy ways to capture those last requests. Help Dad fill his out and give copies to family members and doctors. Advance care directives make the job of being a healthcare surrogate much easier. A healthcare surrogate is the person who will make decisions for Mom if she’s unable to speak for herself. In my book, Frances asks her son, William, to play this role. The choice should always be for the person who best knows and is willing to adhere to the parent’s own wishes without bringing a personal agenda. They may or may not have a limited power of attorney for the parent. Hospice care does not prolong life, but offers comfort treatment for a dying parent at the end stages. Most people say they don’t want to live their last days in a hospital; yet most people don’t get into hospice care soon enough to allow for a truly peaceful ending. All families have their histories and complications. It isn’t always a Hallmark moment when they gather around a sickbed. There will be plenty of time to live the family drama when the parent is gone. If your emotional limit is ten minutes, stay ten minutes, and then leave. If you’re exhausted, take time out for yourself. Your responsibility is for your parent’s peace and for your own physical and mental health. All you can give is your best effort. In the last days when it seems there is nothing left to do but grieve, ask yourself, “What will I always wish I said but won’t be able to?” and “What do I need to ask before it’s too late?” When your parent is dying on their own terms, death can be a beautiful time of bonding and mending. 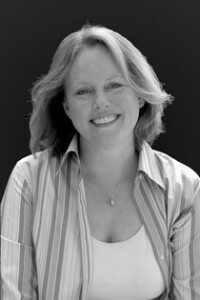 Janice Van Dyck is a freelance writer and author of Finding Frances. A Philadelphia native, she now lives in the Tampa Bay, Florida area. A 20-year business veteran, she has enjoyed a long career as a senior executive in a public company, as a corporate communications specialist, and as an organizational development consultant. She is currently involved with Project Grace (www.projectgrace.org), a non-profit devoted to advance care planning. For more information, please visit www.janicevandyck.com. Previous Previous post: How can evolution work against us? Next Next post: Are you ready to take an Imprint Journey? Thanks for sharing this article. Death is not always a ‘comfortable’ subject to talk about but it is ,after all, part and parcel of life.Giving our loved ones a ‘peaceful passage’ will give us a sense of peace too, at the end of it all. Death came upon my dad unexpectedly, so I never had the chance to communicate with him or be with him to share the last moments of his life.Since I was the apple of his eye, this had a great impact on me, leaving a permanent hollow in my heart for so long. But with my uncle, it was totally different. We knew of his impending death. He spoke about it openly, shared many emotional moments and conveyed his last wishes. He wanted to be cremated and his ashes sprinkled in the sea of a particular island. In fulfilling his final wishes, though uncommon , in our religion and culture, it somehow made it easier to accept the reality of his loss. It liberated me, finally, from the hollowness I felt due to my dad’s death. It brought a sense of healing to our souls. To have a chance to go through these nine pieces of wisdom with a loved one would be a ‘blessing’, undoubtedly.